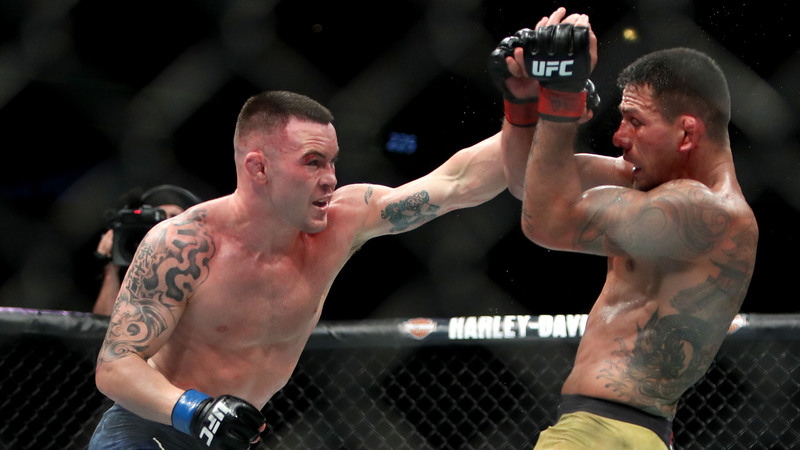 Colby Covington is not happy Dana White gave Kamaru Usman a shot at the welterweight title against Tyron Woodley. Covington won the UFC’s interim title with a win over Rafael Dos Anjos in June, but was unable to unify his belt against Woodley when he had to pull out of the fight due to nasal surgery. He was then stripped of his title and Woodley went on to beat Darren Till for the belt. Then, when Covington felt he deserved the next fight against Woodley after he was healed, Usman was given the chance coming off of a win over Dos Anjos. Covington said he was the one who deserved the shot and not Usman. Covington said White has been working against him to keep him from matching up with Usman. Covington said Woodley has been turning down matchups with him for a while. And he also said he believes a “power play” between White and Usman’s manager is going on to keep the title away from the American Top Team fighter.